We’ve heard from kids, moms and their grandparents that our quality kids cooking tools make kitchen prep time more fun. We wanted to share a little more about the cooking tools that come in each kit. 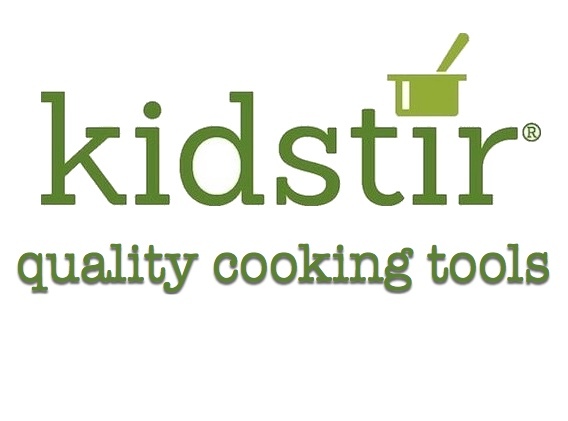 Here are the quality tools your kids can expect with our Kidstir Cooking Kits. The recipes are easy to follow, and fun to prepare. And the tools are great quality kitchen tools for all ages. – Randi S.
You get a neat cookbook binder with your first box, and each box also comes with 2 neat tools. Everything included is very high quality! – Carisa H.
Kid-sized tools this month were a set of silicone muffin liners and a set of measuring cups. These are both tools we can keep using forever! Anna R.
The presentation is great – everything is super cute and arrives exactly as it should! The quality is awesome and the curation is phenomenal! – Asheli C.
Each contains 3 fun recipes, a shopping list, extra info on the foods involved, games, activities and our favorite: 2 top‐quality kid‐sized tools. Kidstir is a total winner in our books – Aly B.